YAY! On the road for our first leg. It seemed so strange to be pulling out knowing that we will be doing this for 4 months. I don’t think it will sink in for a few weeks. 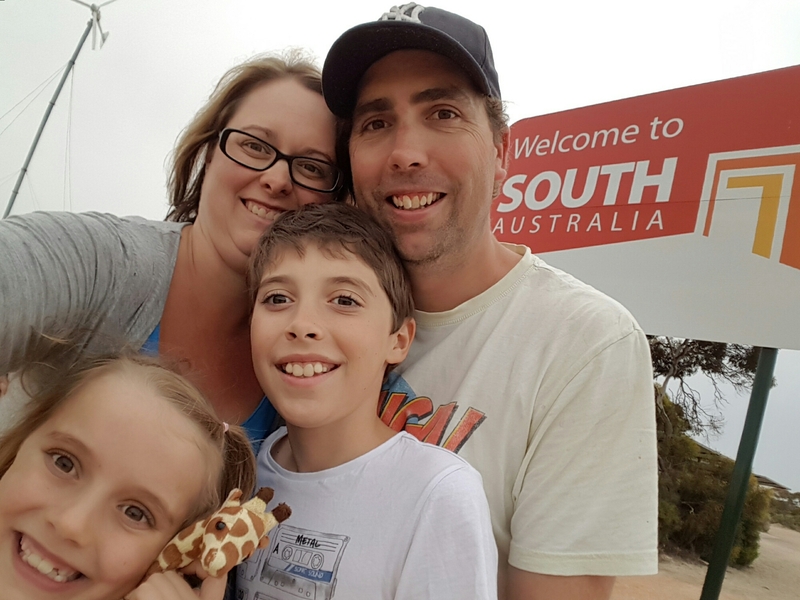 Kalgoorlie was our first stop and we decided to spend 2 nights to catch up on some sleep. Adrian had been working so hard to get us to this point that he started dozing after 15mins at the wheel, so I did most the driving. Not much to see but lots of road and red dirt! Made it in to Kal after a super long day with the aid of lollies, cheese balls and party music (had to have some company since everyone else was asleep). Pulled into the caravan park and was greeted by the most glorious sight….an amazing swimming pool! Don’t think the tent has ever gone up so quick. The pool didn’t disappoint! The next day we spent 2 wonderful hours chilling, playing and generally unwinding in the pool….all by ourselves. With it being our only day in Kal we headed out for some sightseeing. 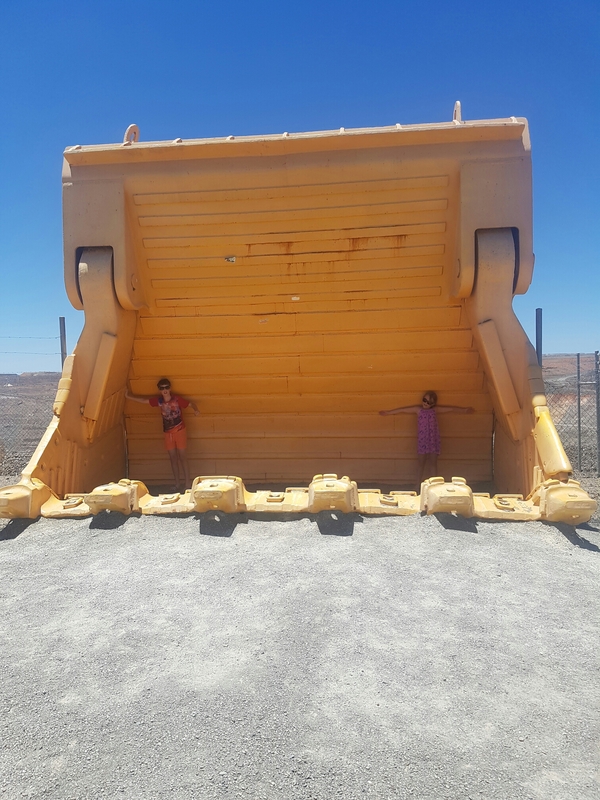 The super pit was a must as was the WA museum. 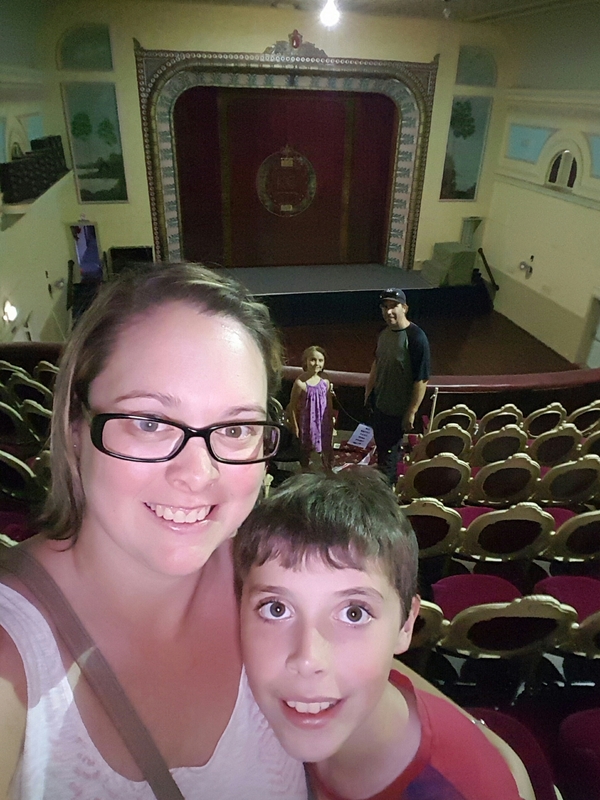 The kids had a ball exploring the history of Kalgoorlie and checking out all the old buildings. Had a lovely catch up with Loren and Ant (and little baby Bennett), then headed back to the pool which was now packed! 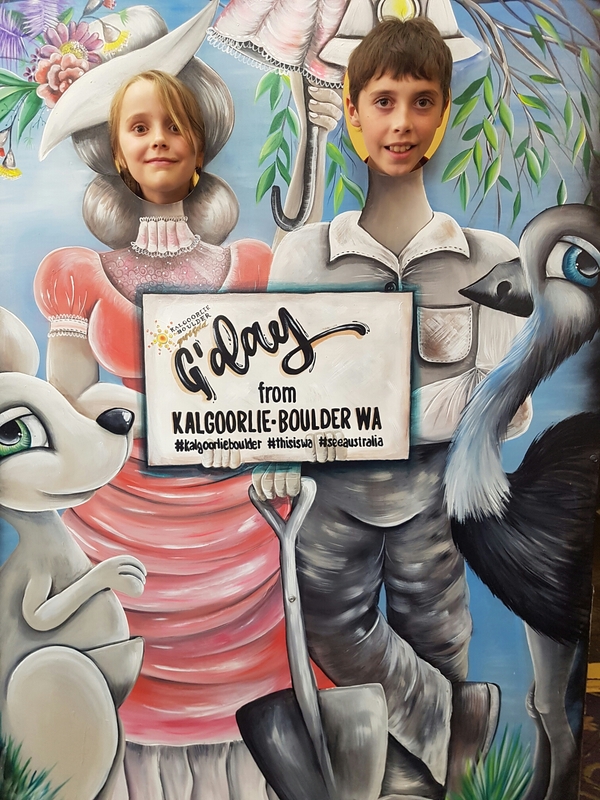 Thank you Kalgoorlie, we had a great time. We had an early start to beat the heat. We left at 6.50am and had breakfast on the edge of the golf course in Norseman. We are by no means golfers but decided to play a few of the Nullabor Links holes as we cross (Armed with only a Five Iron in honour of our favorite band) Par 5 supposedly for this hole and I think we stopped counting at 10. Huge day of driving. Still me driving as Adrian could only do 1/2 hour stints before getting dozey. 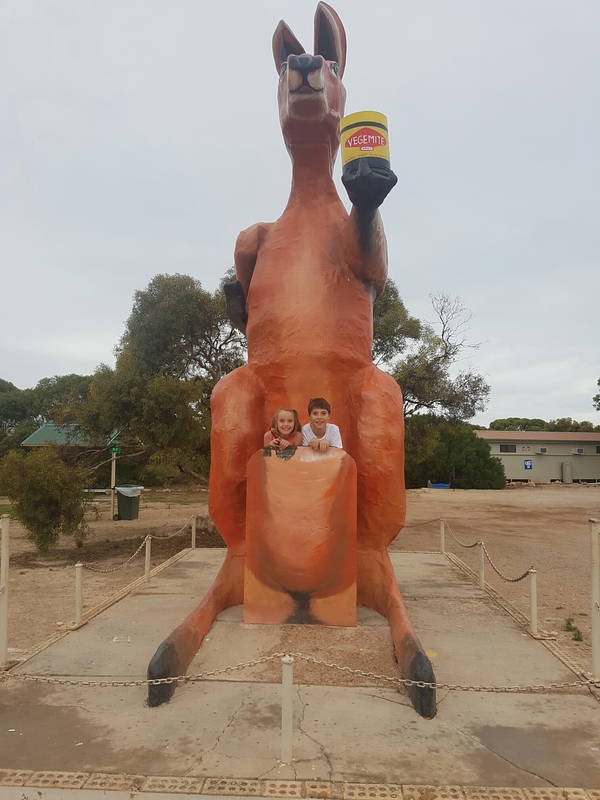 We drove Australia’s longest staight road today and boy was it a long road! We were aiming for Balledonia at lunch time to swim in their pool during the 41 degree afternoon then stay the night. However on arrival we were told the pool was out of order and the sites were on the hot gravel….so after a quick lunch stop we headed on to Cocklebiddy. Pulled in at 5.30pm absolutely exhausted and needed to sit for a cuppa before I could function again. Lovely grassy site and the stars were amazing! 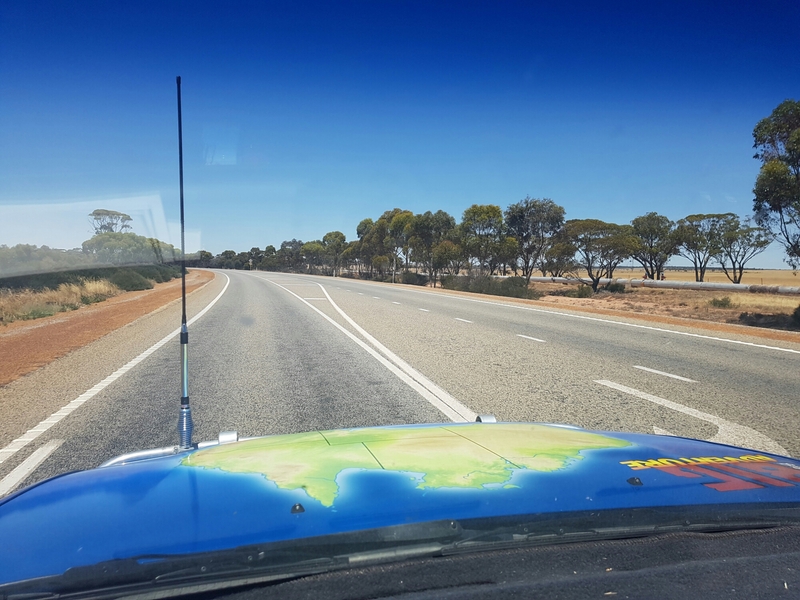 Just a short drive day….2 1/2hrs saw us pull in to Eucla with Adrian back on deck for driving. We had the best homemade sausage roll for lunch from the cafe before heading to the beach to find our camp spot. 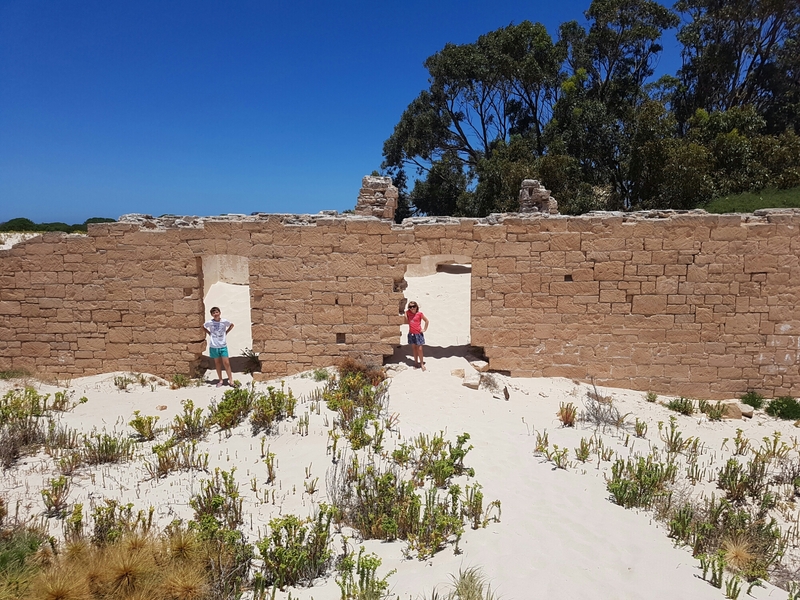 Explored the old telegraph station ruins then spent the afternoon on the most lovely beach. 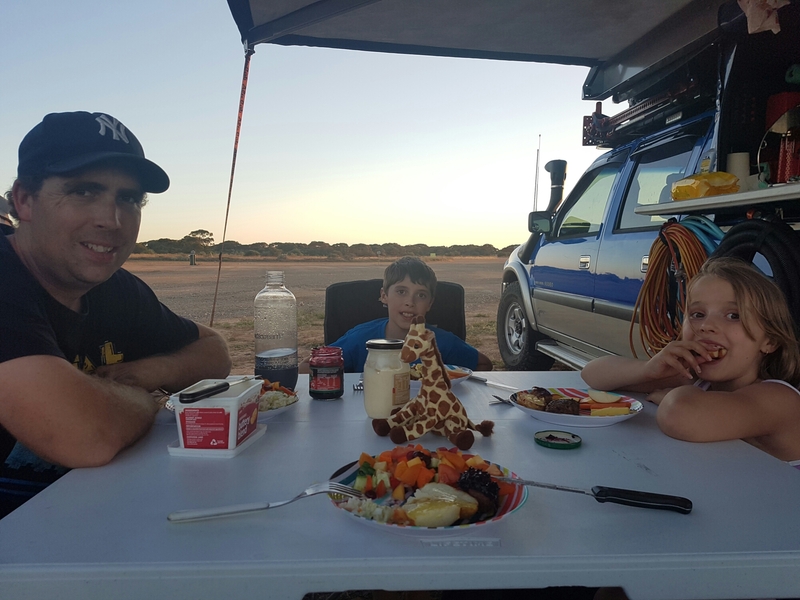 The weather turned during the night and the pegs were pulling sideways through the sand so we packed the tent down at midnight in howling winds and slept in the car. Not the most comfortable night! 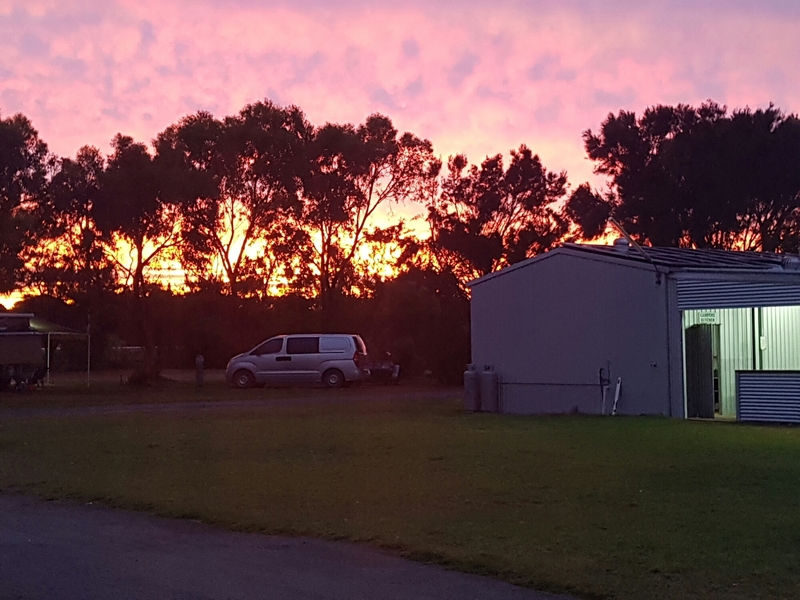 As soon as the sun rose we just put belts on and headed to the fuel station to reinflate the tyres after the beach driving. Found a coffee which was essential after (not really) sleeping in the car and headed off across the border. 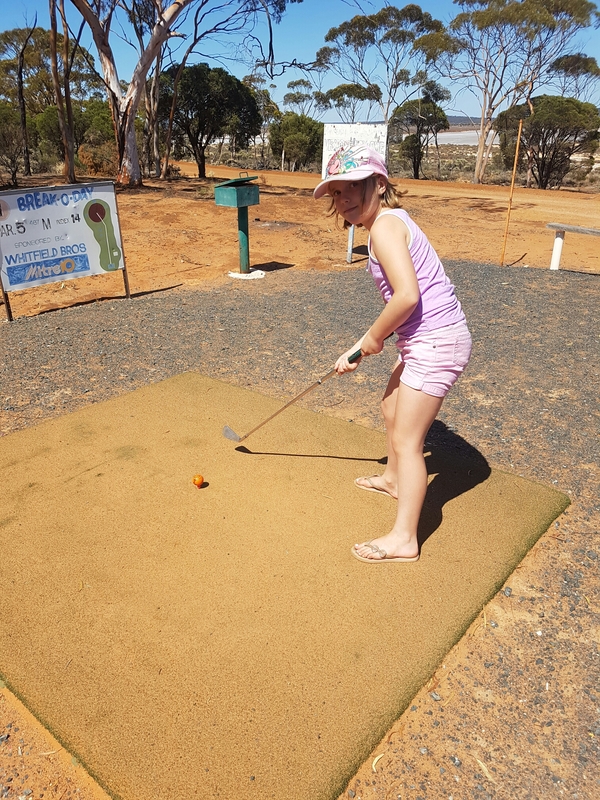 Had a few pics and played the another golf hole (we were no better this time) before our first South Australian leg began. 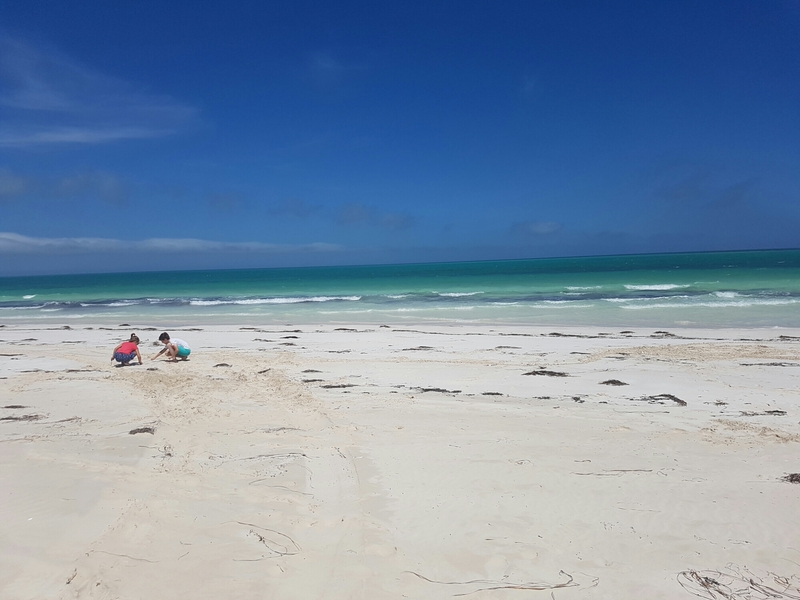 It was another big driving day, as for a second time our planned destination (Ceduna) didn’t appeal on arrival. 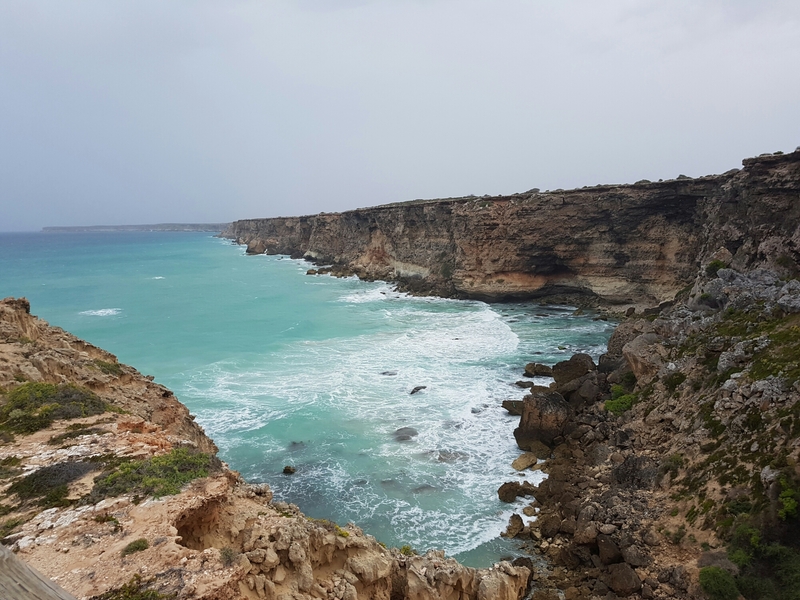 So after a restless night in the car, grey skies and rain, a quick stop at the Bight (which despite the rain was breathtaking) 12hrs on the road and lots of lovely scenery we arrived in Elliston for a much needed couple of rest days. 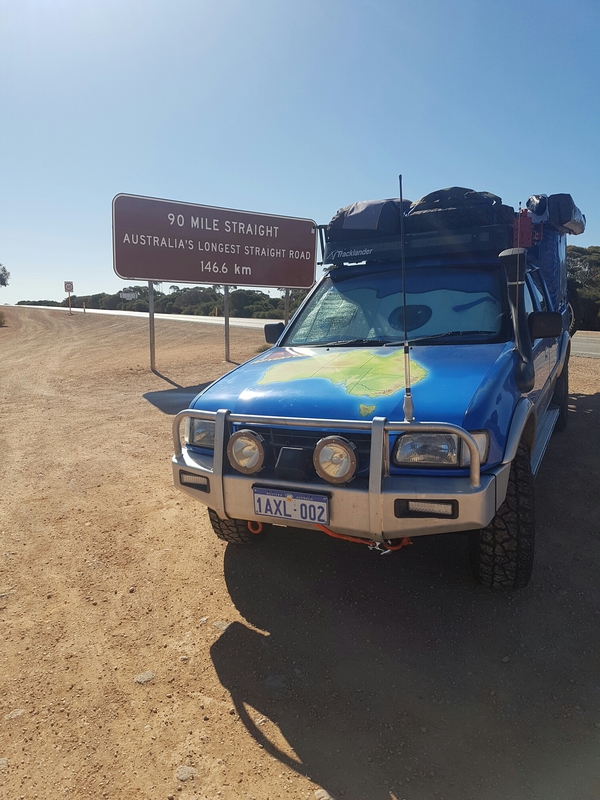 2165kms covered! Not a bad effort for the first 5 days of our adventure! Thanks for the update and the amazing photos. A great start to your amazing trip. Enjoy the experiences of each day.